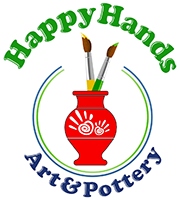 * Kids will be introduced to the magic world of pottery. They will see their projects come to life through working with clay & painting, mixed media & more. Every day has it’s own unique set projects. We will be hosting Summer Camps for ages 4 & up… enough fun & creativity to keep your kids busy.